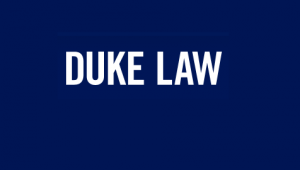 Duke Law hosts Contractual Black Holes April 7-8, 2017. “The conference is an international gathering of the leading contract theory specialists in the world. The topic is the question of how to optimally interpret of boilerplate or standard form financial contracts when they develop what we call “contractual black holes.”” For more information, please contact Victoria Zellefrow at victoria.zellefrow[@]law.duke.edu.